Whatever the weather, each year thousands of visitors flock to Salcombe, South Devon, for Crabfest. Some come only for the crab, some come just for the craic, but inevitably nearly all come to shop. 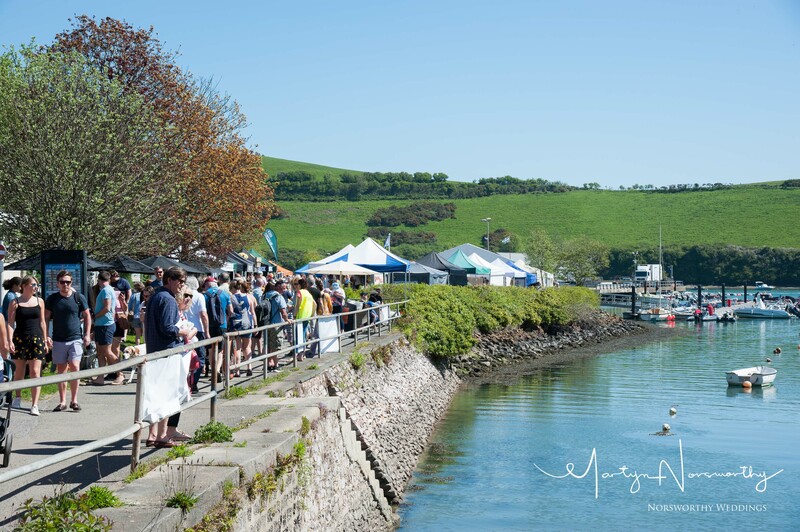 For one day only, Island Street, along with a large section of the neighbouring Creek Car Park, is closed to traffic, offering festival-goers a rare pedestrianised shopping experience in the heart of Salcombe’s traditional boat building quarter. Pop-up stalls pepper the street alongside resident retailers, serving up an unrivalled mix of locally produced food, drink, artisan crafts, clothing, gifts, activities and escapes. In 2018 more than 70 companies exhibited at Crabfest. This year we’re looking forward to welcoming more exhibitors than ever before and invite you to be among them. Click here to view the 2018 Exhibitor List. If you’re a local business or organisation with a quality product or service you’d like to share with our festival-goers, now is the time to book your stall. Simply fill in and return the event booking form to secure your place at this year’s Crabfest on Sunday 5th May 2019.